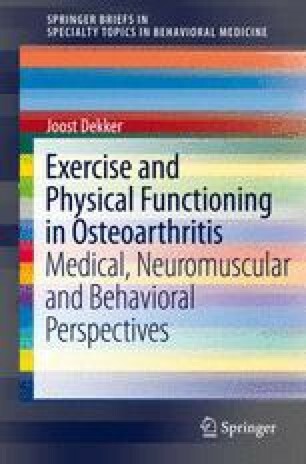 This chapter presents the rationale of innovative exercise modalities that target neuromuscular mechanisms for patients with osteoarthritis. An overview of different modalities of exercise therapy targeting neuromuscular mechanisms and three examples of specific programs will be provided. Available evidence for the effectiveness of exercise therapy targeting neuromuscular mechanisms in patients with osteoarthritis is presented.